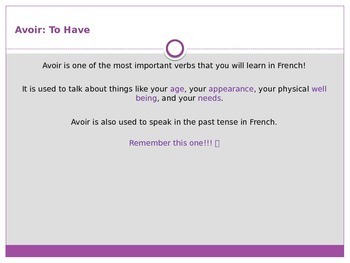 This PowerPoint lesson introduces the French verb "avoir" in the present tense to French I students who have never seen the verb before. 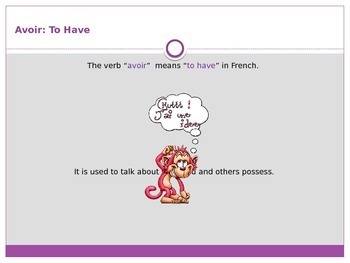 **This lesson is colorful and uses photos throughout to help students understand the meaning of the verb. 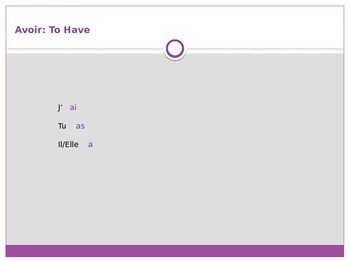 It's a great introductory lesson, and coordinates well with Chapter 4 of the Bon Voyage! 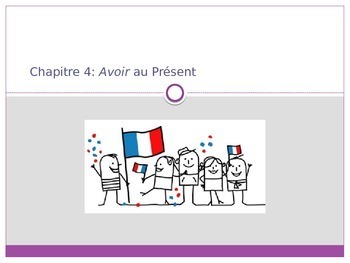 Level One French series.